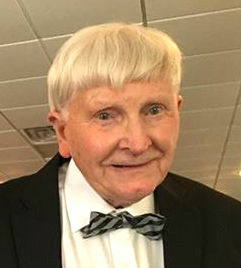 Obituary for Joseph P. Minno | Dalfonso - Billick Funeral Home Inc.
Joseph P. Minno, 84, of Monessen, passed away on Tuesday January 29, 2019 in Country Care Manor, Fayette City. He was born on June 21, 1934 in Donora, the son of the late John and Anna Minno. Joe grew up in Donora and was a 1954 graduate of Donora High School. He was retired from the Monessen Plant of Wheeling-Pittsburgh Steel, and more recently worked as custodian for the United Methodist Church in Monessen. He was a member of Epiphany of Our Lord Church in Monessen and the St. Dominic's Men's Club in Donora. Joe enjoy going bowling and was an avid card player. He is survived by his wife of 59 years, Frances A. "Frannie" Minno, a son, Joseph F. (Holly) Minno of Monessen; a daughter, Tammy L. Minno of Damascus, MD; a grandson, Joseph T. Minno; and by numerous nieces and nephews. In addition to his parents, he was preceded in death by five brothers, George, Paul, Andrew, John, and Michael Minno, and by a sister Mary Minno. Friends will be received on Thursday from 6 to 8 pm in Dalfonso-Billick Funeral Home Inc. and Cremation Services, 441 Reed Avenue, Monessen. Services will be held on Friday beginning with a 9:00 am Blessing in the funeral home followed by a 9:30 am Funeral Mass in Epiphany of Our Lord Church, 44 Penna. Blvd. Monessen with Fr. Michael J. Crookston officiating. Interment will follow in St. Dominic Cemetery, Donora. The family would like to thank the staff of Country Care Manor and Amedisys Hospice for their excellent care. Condolences accepted for the family at www.dalfonso-billick.com.